Born in 1955, Monty was brought up in Hampshire and studied at Magdalene College, Cambridge University. In 1980 he set up and ran a costume jewellery business with his wife Sarah, however they went bust in 1990 and since then Monty has spent his time immersed in gardening journalism and was The Observer’s gardening columnist from 1994 to 2006. 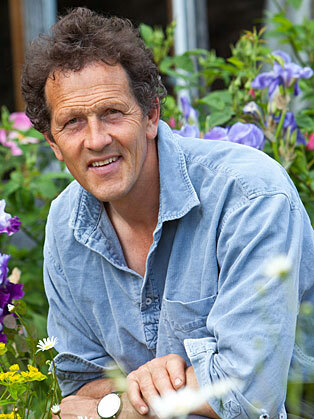 Monty has also worked on television including taking on the lead presenting role on Channel 4’s Real Gardens, Fork to Fork and most recently the BBC’s Gardeners World. He has also presented a number of travel programmes including Around the World in 80 Gardens and Mastercraft. He has suffered serious illness as well as financial disasters, however each time he has emerged stronger and more determined than before. He has never had a set career plan, but he does have a remarkable story to tell.